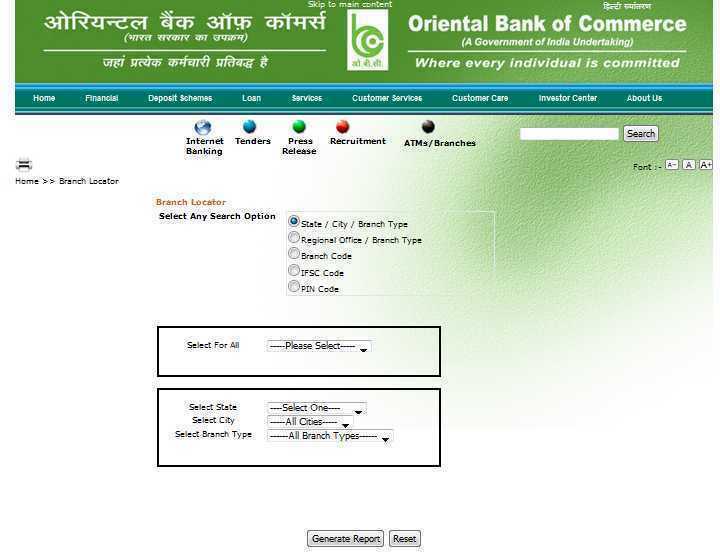 Can you please give here IFSC code and branch code for Ranchi Women S College branch of Oriental Bank of Commerce ? As you requires I am here giving you IFSC code and branch code for Ranchi Women S College branch of Oriental Bank of Commerce. 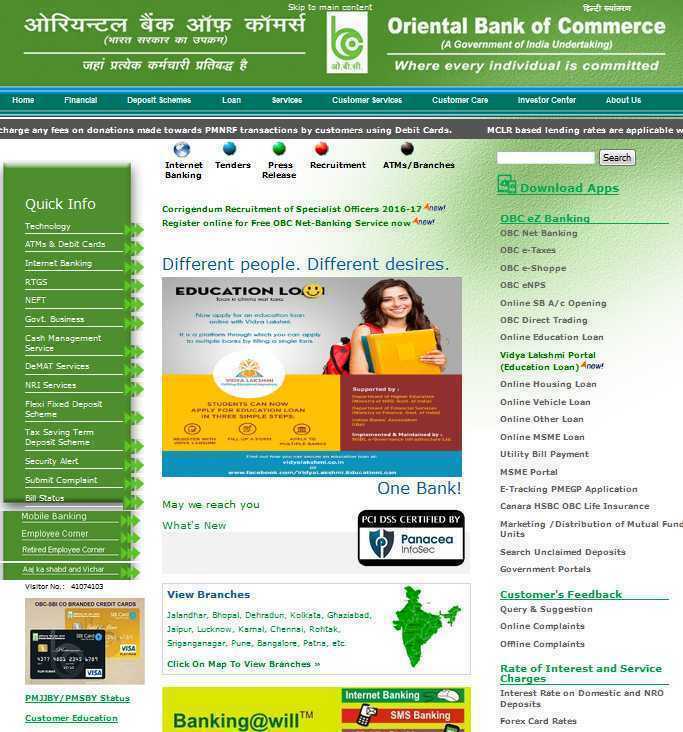 First of all visit website of Oriental Bank Of Commerce. Click on ATMs/Branches link . You move to next page. At next page click on Branch Locator link. Then click on generate report button to get detail of branches of bank .